From seductive vampires to corrupt samurai to wicked werewolves, all the inhabitants of the manga occult-and-horror genre welcome you into their nefarious universe. 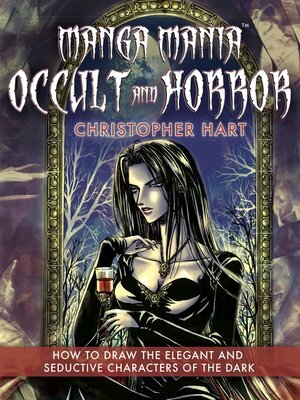 The latest book in the Manga Mania series from best-selling author Christopher Hart takes readers through the world of manga horror and occult with sinfully easy step-by-step instructions and decadently lush color illustrations. Beautiful depravity becons. Evil never looked so good.